If you’ve set up your work space at home, you know that you need the right space to work effectively, away from distractions. Ultimately, you’ll need a space that allows you to hone in on your business, replicates an office environment and is somewhere that you look forward to going every day. It’s not just the space you need to think about – you also need to think about the type of furniture you want to use, such as chairs, desks, cabinets and bookcases. In regards to your chair, it’s important that you look for something with the right level of support to ensure you don’t get any back or neck aches when working those long hours at home. The layout of your home office is essential for efficient work production. Ensure that your desk is facing the wall to ward off distraction, but always allow light in from a nearby window. Make sure that your printer and phone are within hands reach of your computer. Don’t forget to add some style and uniqueness to your work space such as plants, artwork or memorabilia of your favourite sports team. Try to find a chair that not only looks good, but will support you throughout the day. 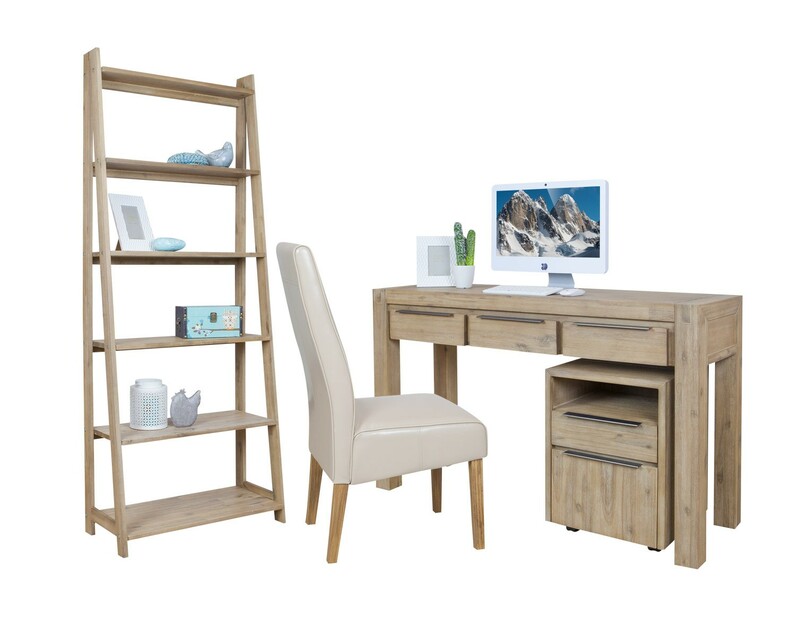 Don’t forget a desk with ample storage space to cater for all your stationery and files. Should you need more storage, you can always add a cabinet or bookcase. You need adequate lighting, above and at the desk. You don’t want to be squinting at your screen or at the papers you need to read and research. A long stand-alone light adds height to lighten the room efficiently. Try to blend your lighting with natural light to keep things bright and ambient. Working from home, as you know, can be a distraction, especially if you have animals or children. Also, friends may tend to think you’re always available since you “don’t have to go to work”. However, we suggest putting up screens if you don’t have a proper office room or thick bookshelves to block out sound. Apart from the obvious computer and notebooks, you’ll need to consider all the accessories or devices you might need such as a printer, WI-FI, stationery, phone line, etc. Ensure all wiring is neatly pinned against the wall so to not create a hazard and take up unnecessary space. With these tips in mind, you can continue to do what you do best at home – having the benefits of being in a comfortable environment, as well as the benefits of running your business successfully from your home office. Take these tips into consideration when searching for your home office furniture today!